My first thought when I saw Mystery Island in the distance was that it looked like a giant pancake. A giant, malformed pancake, complete with a thick layer of maleficent tree mold of doom that grew on every level surface. The fun, cheery place that brought us “Sacrificers” and the ten billion or so bottles of sand that clog up the Money Tree hadn’t really gained much more charm. Felicity rolled her eyes but didn’t reply. Admittedly, we’d been over this subject. A lot, actually, ever since she had come home with the announcement that she had signed me up for what was allegedly the most prestigious training school in the world. Don’t ask me why. I’ve never showed any interest in being any kind of fighter, despite being a Kougra, and a camouflage one at that. I guess I just never got the whole point of whacking other pets with sticks. Felicity kept going on about “expanding my horizons,” which sounds nice, but no one else seems to be doing it, as I doubted all the large, aggressive looking pets around me spent much time in astronomy camp. I spent most of the trip there trying desperately to think of ways to convince her to let me go back home that I hadn’t used before, but it seemed less and less likely as the boat drew inexorably closer to the island. After it docked laboriously at the harbor, Felicity grabbed my belongings, motioning at me to follow her down. Part of me considered simply staying on board and refusing to leave but I had a feeling she would just drag me off, and the last thing I wanted to do was start off the summer by making a scene. Felicity could get pretty stubborn when she wanted me to do something. "There are even pirates here,'' I added desperately, as I followed her down the gangplank. "I heard there were raids on the coast all spring. I could get killed, you know." "All the more reason for you to learn to protect yourself," she said firmly, setting my bags on the sandy ground. My palmplat fluttered down from the railing and clucked anxiously around my paws. Felicity ruffled my fur affectionately and jumped back on the ship. "I'll see you in two months, Benji!" she called, as it began to sail away. I stared after her. It had never even occurred to me that she would really leave me here. I had honestly thought that I would be able to talk her out of it, or barring that, I could somehow call down some sort of natural disaster through sheer force of will that would keep me from having to stay. Now, the prospect of being stuck here for two whole months loomed alarmingly, and I could feel the vestiges of panic bubbling in the back of my throat. "You’re called Benji?" said a scornful voice behind me. "What are you, five?" I turned. The speaker was a Skeith, large and heavily muscled, though probably not much older than me. A handsome black gathow twined around his ankles, its pointlessly aggressive expression mimicking that of its master. "That’s my nickname," I said defensively. ''She's been calling me that since I was born. 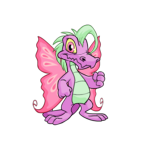 She's not going to stop after thirteen years'"
The Skeith, however, had lost all interest in my name, as he stared at my petpet with something like disgust. "What is that?” he asked, wrinkling his nose scornfully. "It’s a palmplat,” I said, suddenly noting its scrawny neck, crooked beak and bug-eyed appearance with growing self-consciousness. "Looks pretty useless to me. Couldn't be much good in a fight. Fury here, on the other hand, has been champion of the regional petpet league for two years in a row.” He gestured smugly at the gathow, who bared its teeth at me. "I didn't get him to fight," I started to explain, but got no further, as Fury sprang with a yowl at my palmplat, who predictably, ran squawking into the bushes. "Gannin!" I called after him, trying to ignore the laughter from behind me. I knew there was no point in trying to call him back, as when he got spooked, he would hide and not emerge for hours. Gritting my teeth, I waded into the bushes after him, well aware of how ridiculous I looked. The pets behind me were still laughing. I sighed. It was going to be a long two months. By the time I managed to retrieve Gannin, everyone else had already gathered into a rough circle around the Techo Master, and I got some odd looks as I stumbled in, discomfited and out of breath. The Techo Master himself raised an eyebrow at me. 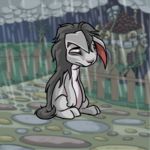 "No," I panted "My petpet ran off, and I had to go get him back." There were some giggles, from those who had seen the incident. The Techo continued to look at me levelly. "Well then, I expect better discipline from your petpet in the future –“ he glanced down at his list. "- Benden, is it?'" That got my hackles up, and I wanted to ask him if he really thought it was reasonable for any petpet to stay calm while something twice its size launched itself at him. But I didn’t, because I knew better than to antagonize the pet that would be controlling my life for the next two months, especially on the first day. “Yes sir,'' I said, lowering my eyes. "I don't – “ I began but I was already being pushed to the center of the circle, where I stood, mouth dry, facing the Techo Master. "Easy as pie," he said cheerfully, moving towards me. I had time to notice that he moved astonishingly fast for someone so old, before I was flying through the air, only to thump on the ground a few feet back. The other pets were laughing again. I closed my eyes. Okay, so I had embarrassed myself in front of the whole school twice already. Things could only get better from here, right? Wrong. The training school was horrific. Not much worse than I expected, but really, only an active apocalypse would have been worse than I expected. Firstly, I was the worst one there. By far. Every afternoon, we had a sparring session to use what we’d learned in the morning, and I always lost. Always. I was never even close. It was all very well to tell myself that I was the least experienced, but getting pounded constantly starts to get depressing after a point. Secondly, the Techo Master ended up being a disappointment. I’d always heard about how wise he was, but now that I’d met him, I was starting to find that pretty questionable. He certainly had a saying for everything, which I guessed was supposed to make him seem deep. Like when I asked him how I was supposed to know what block to use when there were a million possible moves the opponent could make, he said something like, “the leaf may toss fitfully through the air, but it is the wind that blows it;” which was patently unhelpful in any practical sense, even if you managed to figure out what the metaphor was. He was undeniably good at fighting – his demonstrations with Ryshu made that clear enough. But I would have liked an explanation once in a while. The other students were just as bad, not so much aggressive as posturing, talking incessantly about the equipment they had, or the battles they’d won. Anyone unable to beat Meuka with one hand tied behind their back was beneath their notice, which of course meant that I was never given a second glance. By the end of the first week, I had only made one friend, and it seemed unlikely that I’d make any more. Her name was Nella, a striped Draik with a sweet face and a sour disposition, and possibly the only pet in the entire school that was less popular than me. I was generally ignored. She was actually disliked. We’d come together the way outcasts generally do – out of desperation more than mutual interests. She was unpopular for the exact opposite reason that I was – namely, she was better than just about everyone else, and wasn’t afraid to flaunt it. She looked at everything and everyone around her with a thinly veiled contempt, and was more than happy to settle any disagreements with her claws (which meant she always won, of course). The only thing we had in common was our mutual desire to be somewhere else, but she, at least, would be perfectly happy to be at a training school – just not this one. “Isn’t the training school there less advanced?” I asked tentatively, trying not to set her off into a rage (this happened at least once a day). She certainly hadn’t been poor or anything, or she could never have afforded the fees to this school, but her owner had rarely been at home, so she spent most of her childhood roaming around with pirates and outlaws. Whatever she had learned, it definitely seemed to be effective, because she could give even the Techo Master a run for his money sometimes. She had only come to the school under protest, her owner insisting that she needed to learn different techniques for fighting, but she seemed too busy antagonizing others to learn much. Overall, I actually kind of admired her. She had a directness that I found refreshing, and it was extremely satisfying to see all the other arrogant little pets get some humility pounded into them. My main wish was that I could get a little less humility pounded into me. A week in, though, everything changed. On Tuesday, instead of our normal practice session, the Techo Master had us gather by the front of the school, and together, we headed towards the harbor. It was high noon, and swelteringly hot, but there was an air of anticipation among the students, talking and laughing amongst themselves, occasionally glancing out towards the harbor, trying not to appear too eager. Only Nella and I stood apart, waiting impatiently. "What's going on?" Nell muttered, irritably. "Did we all decide that fighting was too much effort and this is a standing class now?" I rolled my eyes. "Were you even listening last night? Mystery Island’s having a raider problem, and the Techo Master invited someone to help fight them. We’re here to greet him." Nella made a skeptical noise. "One pet isn't going to help very much. Why don't they get their army and just have them patrol the beaches or something?" "Firstly, it's not just one pet, he has his own band of fighters or something. Secondly, Mystery Island doesn't have an army. The master of the training school is supposed to organize a fighting force if the need comes up, but there's nothing just sitting in wait for stuff to happen." "That's stupid. No wonder they couldn't deal with something as easy as raiders. How did they last this long without a fighting force? I mean, we don’t have an army either, but if someone tried to raid Krawk Island, they’d be running home in minutes." "Not everyone's a pirate, okay?" I said irritably. "There's no army because Mystery Island hasn't needed one until now. It's been pretty peaceful for as long as anyone can remember." The Techo Master faced the crowd. "I would like to introduce Lucan D'alrin. He will be heading the defense of the island." The crowd cheered. Many of the natives had come to see this warrior as well, I noticed. The Techo Master then turned back to Lucan, adopting an oddly formal tone. "Will you accept this duty, to defend and protect this island and all that reside upon it?" Lucan bowed again, this time to the crowd. "I will." The crowd erupted in cheers again, the students talking excitedly amongst themselves. Nella was scowling again. I gave her a half grin. "You have to admit he's pretty impressive." I shrugged, watching as Lucan and the Techo Master began walking to the school, already in deep discussion, about old times or battle plans, I didn't know. Raiders and warriors. No one ever said this summer would be completely boring. But deep down, I was uneasy. I’d brought up raiders to my owner in hopes that she would let me go home, but I hadn’t really believed it. I couldn’t help wondering how bad things were if the Techo Master was asking for outside help. "No one believes you’re real," Freddy said miserably. "But I know you are." It's all fun and games until the owner falls asleep.